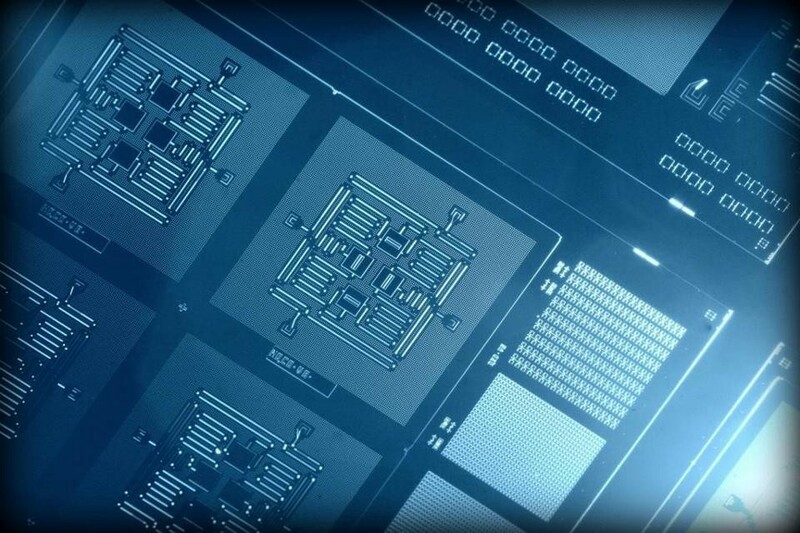 IBM’s Four Qubit Square Circuit, a pioneering advance in computations, could lead to computers powerful enough to simulate a Universe. Image credit: IBM research. Ask Ethan: Could the Universe be a simulation? And if it were, is there any way we could detect that this were the case? Rudy: I am skeptical, but this is interesting. Samir: This is a topic of extreme interest and I really want to hear Ethan’s thoughts on it. It might sound like something out of a science fiction story, but there might be some physics behind it. Photons of vastly different energies are seen to travel at the same speeds. Other, unexpected differences could be evidence that our Universe was a simulation. Image credit: NASA/Sonoma State University/Aurore Simonnet. One of the great mysteries of nature is why the laws of nature have the values that they do. Why are there only a fixed set of fundamental particles, interactions and fundamental constants that describe the Universe? We don’t have any mathematical or physical principles that determine what our Universe must be made of, or that allow us to derive what fundamentally exists. We are, ourselves, inside the Universe, and can only observe a finite amount of it to a finite level of sensitivity. Part of this is due to the limitations of our equipment, but part of those limits are fundamental. A logarithmically scaled view of the observable Universe, with the “edge” of the red glow defining the CMB that we see today. Image credit: Pablo Carlos Budassi, under a c.c.a.-s.a.-3.0 license. We cannot see anything at distances beyond 46 billion light years because the amount of time that’s passed since the Big Bang, combined with the speed of light, is insufficient to enable us to see any farther. We cannot probe down to distances below about 10–19 meters at present, due to the limitations of our accelerator technology, but the Universe itself has a fundamental quantum limit of 10–35 meters. Even with unlimited technology, we couldn’t probe distances smaller than that. And attempts to measure various parameters simultaneously reveal fundamental uncertainties that can never be overcome: the quantum limits of what’s knowable. An illustration between the inherent uncertainty between position and momentum at the quantum level. Image credit: E. Siegel, based on work from Wikimedia Commons user Maschen. It’s possible that there are real, physical explanations for why these and other parameters of the Universe are the way they are, and that we simply haven’t discovered them yet. But it’s also plausible that they have the values they do because they were coded into our Universe itself. Not in a figurative sense, either, but in a real one: perhaps the Universe really is a simulation. Our computational power has continued to increase an alarming rate over the past 70 years or so. At it has, we’ve progressed from four-function calculators that were the sizes of buildings and slower and less powerful than many human mathematicians to supercomputers the size of a printer that can run trillion-particle simulations approximating billions of years in a matter of minutes. Even things that we think of as continuous — time, energy, space, volume — all have a finite limit to their size. If that’s the case, then our universe is both computable and finite. Those properties allow the universe to be simulated. Certain correlations or physical observations could be indicators of a simulated Universe, but many assumptions remain uncertain. Image credit: pixabay user insspirito. But this may not be true, from a physical point of view. Quantum uncertainty may be real, but that doesn’t mean that space and time are quantized, or that photon energy can’t be arbitrarily small. The observable Universe may be finite, but if you include the unobservable Universe, it may be infinite after all. We also use all sorts of tricks to reduce the computational load of our simulations, but evidence that the Universe uses those same sorts of tricks would show up in experiments as “blurred” results at small enough distances, something we don’t see at all. One of the tubes of the GEO600 detectors, which looked for the blurring of signals consistent with our Universe being a simulation. No blurring was found. Image credit: Max Planck Institute for Gravitational Physics/Leibniz Universität Hannover. I actually am very interested in why so many people think it’s an interesting question. Certainly, it’s an imagination-sparking possibility. And certainly there are constraints we can place on this hypothesis by measuring space, time, matter and energy to greater precision and higher energies. But the way our understanding of reality has moved forward has always been by asking deeper questions about the Universe itself in novel, more fundamental ways. Much like appeals to the anthropic principle, appealing to the simulation hypothesis as a potential explanation for answers to today’s difficult questions sure feels a lot like giving up on science. NASA’s Chandra X-ray telescope was able to set limits on the granularity of space from its observations of distant quasars. Image credit: X-ray: NASA/CXC/FIT/E. Perlman; Illustration: CXC/M. Weiss. If you find evidence — say from cosmic rays — that spacetime is discrete, that’s an incredible boon to our knowledge of the Universe, but it doesn’t prove the simulation hypothesis. In fact, there isn’t any way to prove it; any “glitches” we find or don’t find could be properties of the Universe itself… or parameters that were put there or adjusted by the simulators. Philosophically, it might be very appealing to a civilization that fancies itself on the brink of creating artificially intelligent life. Perhaps to an advanced enough simulator, we appear just as simple as the pixels in Conway’s Game of Life appear to us. But we don’t judge an idea’s scientific merit or likelihood on how appealing it is. Part of the reason physics is so fascinating is because of how counterintuitive it is, and also because of how predictively powerful it is. Even if we truly are living in a simulation, that shouldn’t change our quest to understand the laws of nature, how they came to be this way, why the fundamental constants have the values they do or any other questions you might ask about the nature of reality. “Because we’re living in a simulation” doesn’t become an answer to those questions; it simply becomes an inextricable part of our reality. The mysteries of nature remain our mysteries to solve, and it’s still up to us to decide to pursue their solutions.